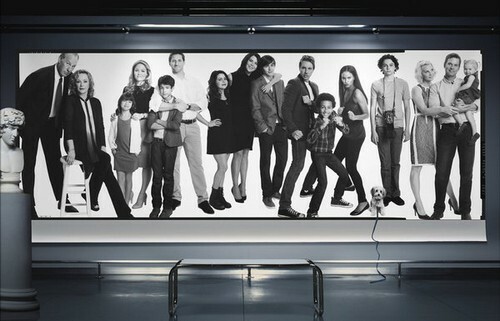 NBC’s popular drama PARENTHOOD returns tonight with its 5th season premiere. Tonight’s premiere episode is called “It Has To Be Now” and on tonight’s show new lives, a newborn and a new business engage the Braverman clan. Did you watch last season’s final episode? If you missed it you can catch up by reading our full and detailed recap, click here. On last week’s show Jasmine and Crosby planned an anniversary get away and received exciting news. Kristina and Adam prepared for the next phase of her treatment. Drew learned the results of his college applications. Amber and Ryan discussed the future of their relationship. Joel and Julia planned an event for the entire Braverman family. Meanwhile, Sarah was forced to make a decision about her relationships with Mark and Hank. On tonight’s episode Jasmine (Joy Bryant) and Crosby’s (Dax Shepard) unnamed newborn causes quite a stir in their house and serves as a Braverman family magnet. While Adam (Peter Krause) and Kristina (Monica Potter) reset their life after her cancer ordeal, she quickly decides to take on another kind of fight, and Joel (Sam Jaeger) and Julia (Erika Christensen) face personal and professional challenges. Hank (Ray Romano) moves back to town, unbeknownst to Sarah (Lauren Graham) and Amber (Mae Whitman) welcomes her soldier boyfriend home.Also starring, Craig T. Nelson, Bonnie Bedelia, Max Burkholder, Miles Heizer, Savannah Paige Rae, Xolo Mariduena, Tryee Brown, Matt Lauria, Jonathan Tucker. Tonight’s episode looks like it is going to be great and you won’t want to miss it, so be sure to tune in for our live coverage of NBC’s Parenthood at 10:00 PM EST! While you wait for our recap hit the comments and let us know how excited you are about the new season of Parenthood. RECAP: Crosby is with Jasmine shopping and she is going into labour. Sarah is in bed and someone is at the door, it is Carl because he forgot his keys and his date, Lincoln, comes in and starts talking to her but Sarah just wants them to leave. Adam and Krisitna are at a bar dancing and kissing, she tells him that life is a gift and she wants to spontaneous. Adam calls Zeek and asks if he can take the kids for the night and Zeek is proud of his son and says he is going to “funky town” which annoys Adam. Amber is talking to Ryan who is stationed away, she tells him that she misses him. Crosby and Jasmine are in the hospital, it is a baby girl for the two. Jasmine says she is so cute and Crosby says that she is so white. Max heads to the photo studio to see Hank because the camera he gave him broke and he wanted to know if it had a warranty. Max took some pictures and Hank likes them. Hank asks Max how Sarah is, he tells him that she said she is so much better since she broke up with him. Clearly Hank misses Sarah. Hank offers for Max to stick around while he is shooting some photos and he says yes. Julia and Joel are looking at some land where he is going to build a new home, they are are so excited for him. Adam and Kristina are home when Bob Little arrives at the door and asks Kristina to run his campaign. Bob tells her that she has been through hell and back, he wants to do something great with him. The family all heads over to Crosby and Jasmine’s place to see the baby. Everyone starts talking about names for the baby and Jasmine seems to be getting annoyed when Zeek says that putting her least name with Braverman would be too long for a football jersy. Amber tells Sarah that she is sad about Ryan, he has been distant lately. The baby is crying and Jasmine heads into the room, again she seems so annoyed. Kristina and Adam talk about their offer and Adam doesn’t like it because he thinks Bob is a liar and if she can’t trust him, it’s a big mistake. Max tells his parents that he went to Hank’s shop, he was there for two hours and Hank told him that he should take pictures of people. Julia is at a job interview, the interviewer tells her that he is going to have to check her references. Crosby is asleep in the kitchen, Jasmine walks in with the baby and he has the toast burning. Jasime starts micro managing him and it pisses him off. Jasmine tells Crosby that she is upset that his whole family came over and stayed for five hours. Crosby is tired, he tells Jasmine that he needs eight hours of sleep and he is also frustrated that they don’t have a name for the baby. Crosby holds the baby and tells her that he is sure one day she is going to be the best thing that ever happened to him but right now he hates her. Adam goes to see Hank who is back from Minnesota because he and his ex-wife did nothing but argue. Adam wants to pay Hank for fixing Max’s camera, Hank won’t take the money. Adam tells Hank in future he can tell Max to leave. Then Adam asks Hank if the reason he spends time with Max is because he wants to get back with Sarah. Hank says that it was a mutual breakup and he’s not using Max to get to her, Max likes photography. Adam says he didn’t know Max liked photography, Hank says if he doesn’t want him there to tell Max then not to be in his radius. Julia didn’t get the job but she is ok about it. Joel has invited his new potential partner to dinner at the house, her name is Pete and it looks like Julia was expecting a guy and not an attractive woman. Kristina goes to see her friend that is going through chemo, she has brought her some goodies. Kristina tells her friend about the opportunity and she tells her that if she wants it then she should go for it and if chemo has taught them anything, it’s not to wait. Amber is having a drink out with Drew and she tells him that she is nervous about Ryan coming home, she is worried that he might have changed. Julia tells Joel that she is worried she may not find a job because Leon is being vindictive; Joel’s phone rings and it is Pete and he got the contract. The smoke alarm is going off in Sarah’s apartment building and Carl comes out of his apartment and tells her they can be friends. Crosby is in the car with the baby to make her sleep and Adam gets in. Crosby tells Adam that the baby is ruining him, he has lack of sleep and is worn out. Adam assures Crosby that it is temporary. Crosby tells Adam that he is not feeling it, he doesn’t understand why he is not feeling a connection with the baby. Adam tells Kristina that he thinks Max should pursue photography, Kristina tells him that she doesn’t want to work for Bob, she wants to run for mayor. Jasmine tells Crosby that she thinks she has a name, Ieada Braverman. Kristina tells Bob that she is running for mayor and he is shocked. Drew surprises Sarah with a visit. Amber is there to greet Ryan, he just got home; he goes to her and kisses her. Ryan gets down on one knee and asks Amber if she will marry him, she says yes.